These beautiful handmade tankers will hold proximately 20-24 ounces. I take extra time to make them lightweight and comfortable to hold, get strong enough for years of use. 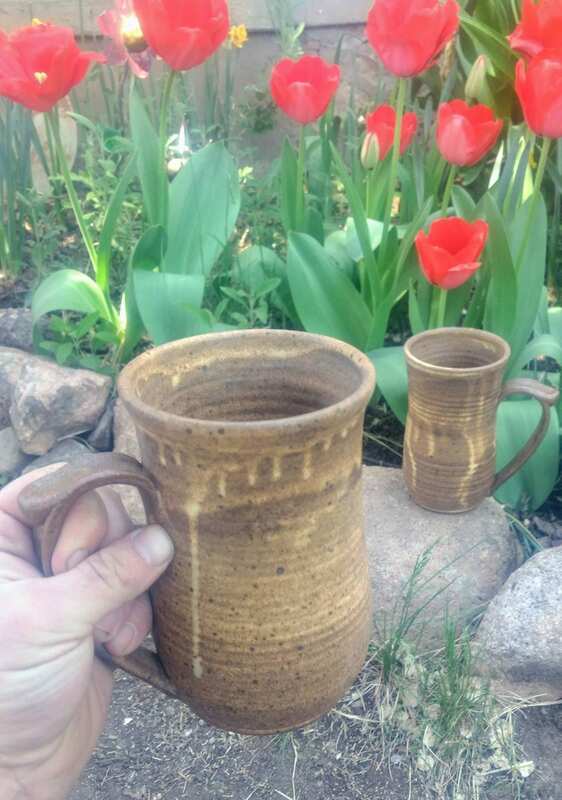 High fire stoneware pottery is dense and strong, these tankards are very chip-resistant because of this. I have pieces that have been in and out of the sink, dishwasher, and microwave for over 15 years without chipping or cracking. Handles will not get hot in the microwave, so they are safe to reheat and hold. 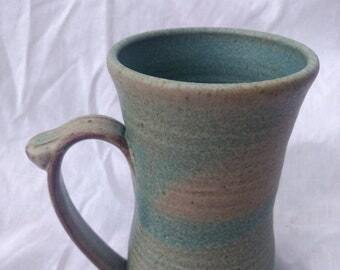 This listing is for one Tankard. Approximately 7" tall by 3.5" wide.